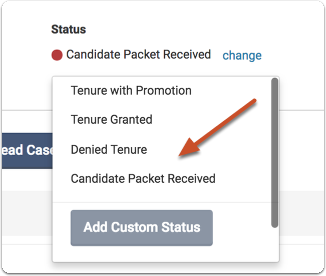 Administrators and Committee Managers can apply a status from the case page of a candidate. 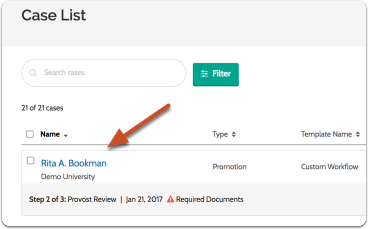 Note: In order to use this feature, an Administrator needs to set a list of case statuses that will be available across an institution. If no status has been added, "Select Status" will appear as shown below.